While getting presents for your friends and family is important, your furry friends are also part of the family who also deserve to be included in the big event! In my house, the dogs play a big part in Christmas – they’re equally involved as the rest of us. This year we also have a puppy, so we’ve been looking at how to spoil them (read: spoil ourselves for them because they don’t really understand Christmas but are thankful for gifts) and I just had to share with you some amazing gifts for dogs! We always get festive treats for our dogs – it’s just part of the annual tradition! 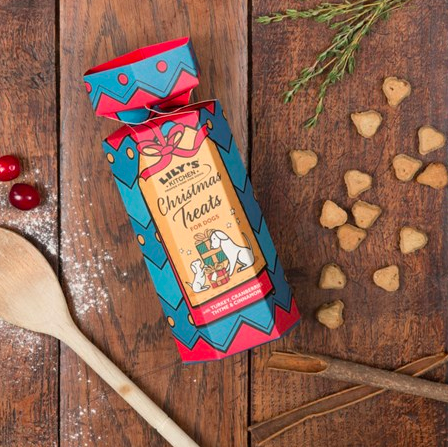 Lily’s Kitchen has some great treats in adorable Christmas packaging and are a great gift for your furry friends! Louis and Rosie love a good rope toy to play a classic game of Tug’o’War. This is the perfect toy for them to use up all their energy before having their big Christmas nap. Us humans all love a nice sweet treat at this time of year and our dogs should be no different! 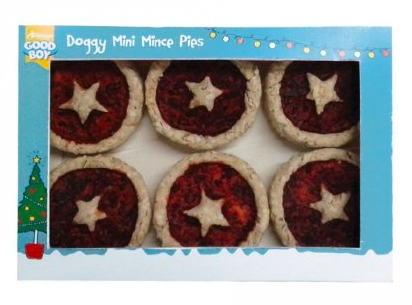 Of course, dogs aren’t allowed mince pies, so there’s ones made especially for them so they can join in on the feast. 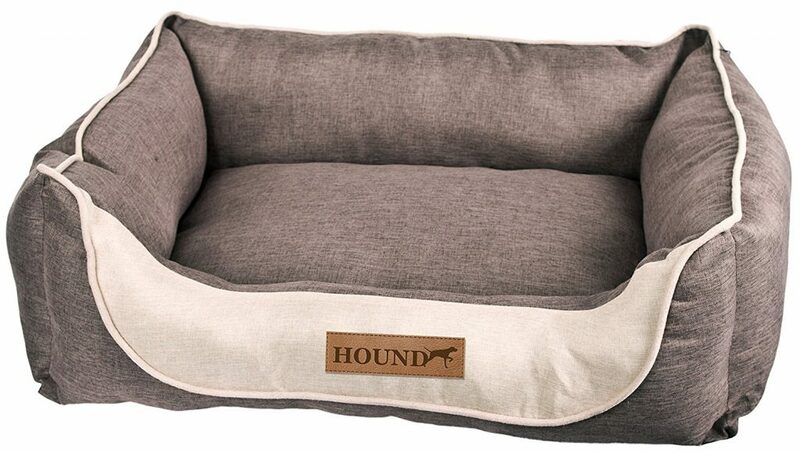 A luxurious gift to give your dog this Christmas is a brand new bed. This one is a cosy and warm bed which is hand washable and quite stylish. I know Louis and Rosie would love this bed! It’s available in a medium and a large. 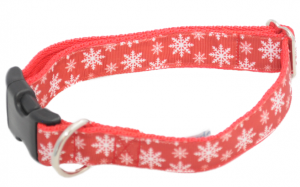 A festive collar is perfect for the day! Perhaps even as an early present to wear in the run up to the big event. If a festive pattern is not really your scene, there’s so many more designs on the website which will tickle both your and your dog’s fancy. Where we take Louis and Rosie for walks can get very cold as we live on a mountain so jumpers are practical as well as for the novelty of dressing up for the festive season! There’s lots of different jumpers available but this one seemed best to us as there’s nothing sticking off it for either dog to chew on like pompoms or tinsel. 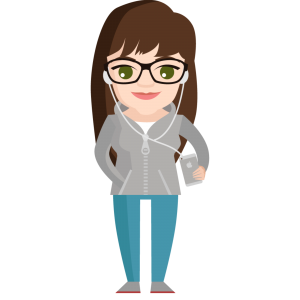 They’re also very smart looking. 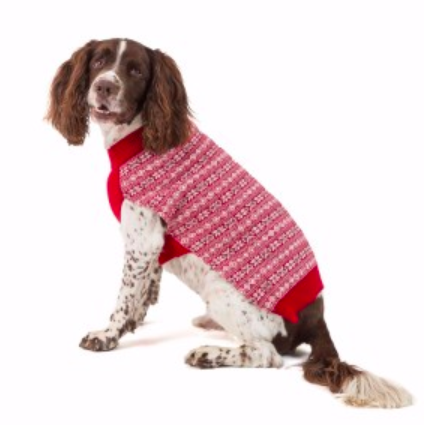 Lots of dog clothing is only in small breed sizes, but you can get this for pretty much every breed going! As a puppy, Rosie loves crinkly sounding toys – especially bottle ones! She often tries to take my bottle of water off me to play with. 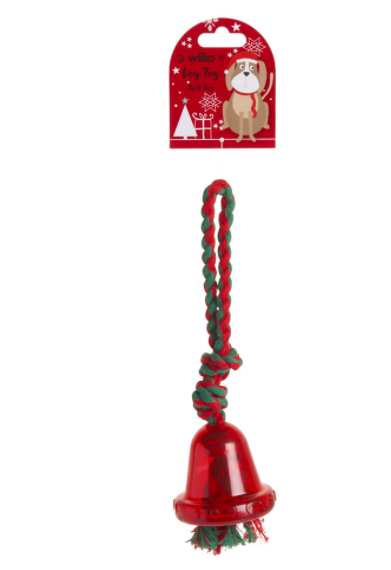 This is the perfect present for a puppy or a young dog who loves their toys. It’s also very festive, of course. If you have a new addition to your family, then what better way to treat them than with a hamper full of goodies just for them?! 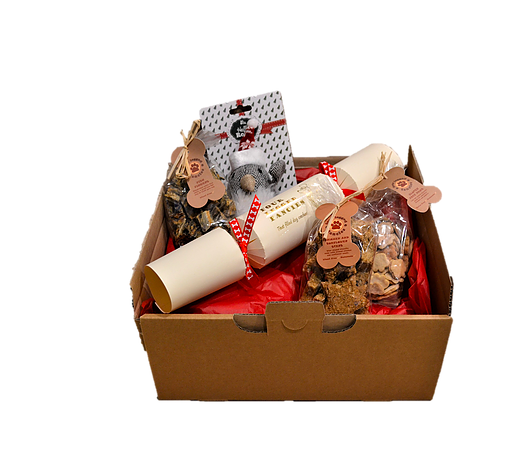 Everything in this hamper is thought of with pups in mind such as treats which are safe for puppies, a puppy cracker and a little squeaky robin toy. 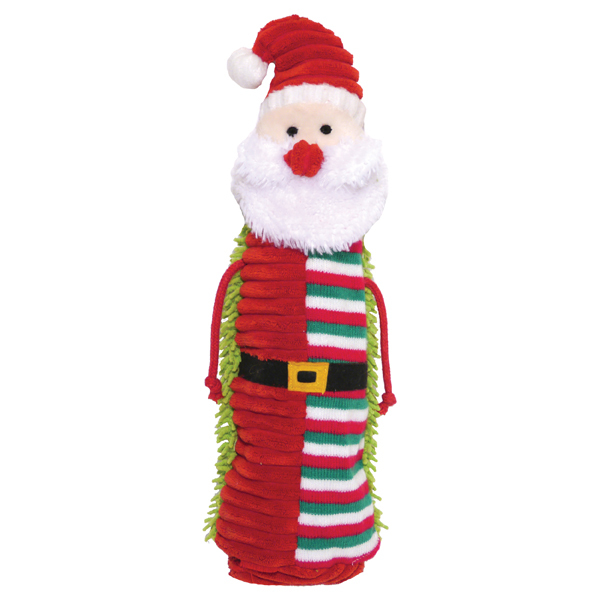 With it being Rosie’s first Christmas, this is on the top of her wishlist to Santa paws. 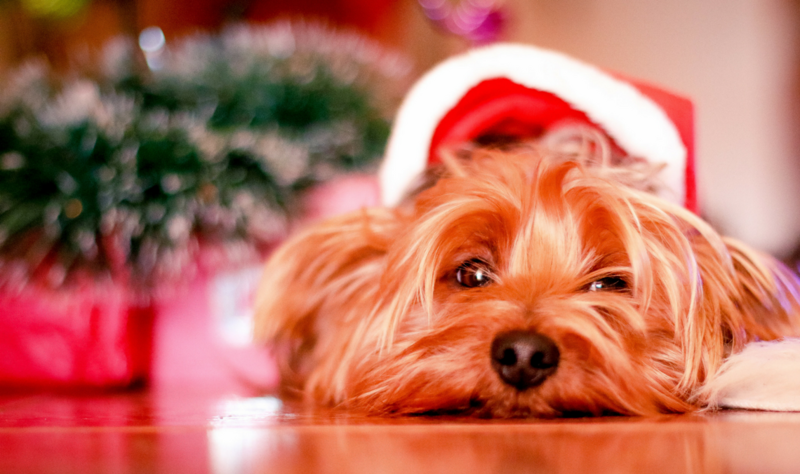 What will you be getting your fur babies this Christmas?